Wars and rumors of wars are now filling the headlines as listed below with the most immediate top-level rumors of war being created by Russia among its own citizens. 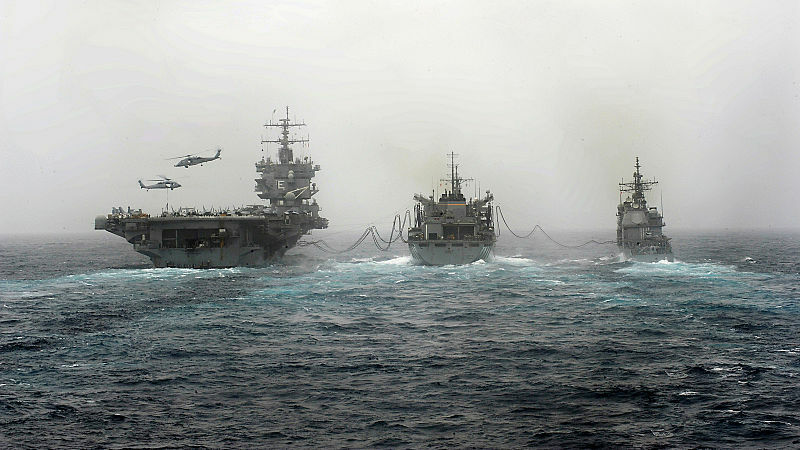 Nuclear-powered aircraft carrier USS Enterprise (left) and the guided-missile cruiser USS Vicksburg (right) being replenished and resupplied by the fast combat logistics ship USNS Supply in the Arabian Sea. These wars are now more than just rumors from the top, though it is quite something to be living through a time when there are so many rumors of war that do come directly from the top. We are seeing an expansion of real, hot wars. 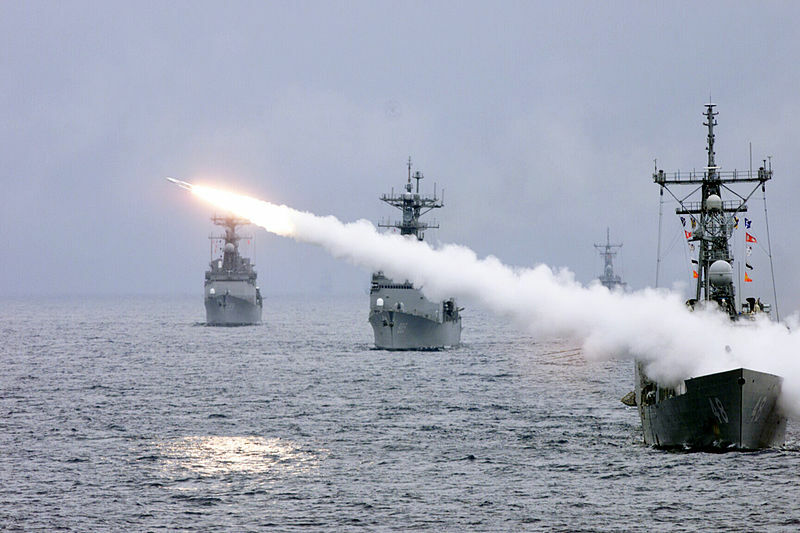 Iranian-backed Houthis in Yemen fired repeatedly on American ships last week, and Americans returned fire with cruise missiles against the radar towers that targeted them. 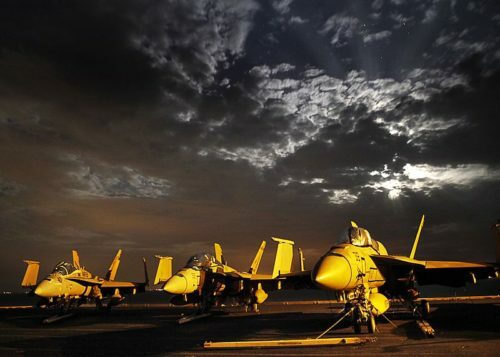 No US ships were hit, but the attacks and reprisal launched a real two-sided hot war in Yemen that quickly became more than just a US strike against Yemeni terrorists. Iran deployed war ships in Yemen in response, flexing its own muscles against the US. Iran’s moves were seen as being essentially Iranian harassment of the US over control of the Red Sea. Fox News went a step further in calling the war in Yemen a proxy war between the US and Iran since the stations the US struck are backed by Iranian support. Pentagon Press Secretary Peter Cook said President Barack Obama authorized the strikes at the recommendation of Defense Secretary Ash Carter and the chairman of the Joint Chiefs of Staff, Gen. Joseph Dunford. Relations in the South Pacific are also going sour for the Obama Administration as the new president of long-time US ally, the Philippines, began boisterously deriding Obama as loudly as if he were Donald Trump. Rodrigo Duterte told Barrack Obama, “You can go to hell” while he also lashed out agains the EU, saying that purgatory would be a better place to be. China confirmed on Wednesday that Philippine President Rodrigo Duterte will visit China next week, as the Southeast Asian leader’s relationship with its traditional ally the United States frays. This, at a time when President Obama has been ordering US military ships to maintain a strong presence in the South China Sea, ostensibly in support of Philippine rights to operate in that same area and in support of open international waters. China has been engaging those ships with warnings by fly overs and by bringing other ships close alongside US ships, and now the Philippines turn to China, instead of to the US because of US criticism of Duterte’s war on drugs. 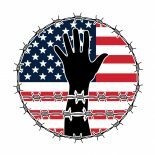 The Pentagon makes the following statements in the video about a rapidly changing world order that is decaying into social chaos and is increasingly vulnerable to anarchist and terrorist attacks in highly populated areas. The urban environment will be the locus where drivers of instability will converge…. By the year 2030 … resources become constrained and illicit networks fill the gaps left by overextended and undercapitalized government…. Growth will magnify the increasing separation between rich and poor. Religious and ethnic tensions will be a defining element of the social landscape. Stagnation will coexist with unprecedented development as impoverishment, slums and shanty towns rapidly expand alongside modern high-rises, technological advances and ever-increasing levels of prosperity. This is the world of our future. It is one we [the military] are not prepared to operate effectively within, and it is unavoidable…. It is an ecosystem that demands a highly agile and adaptive force to successfully operate within…. Living habitats will extend from the high-rise … to subterranean labyrinths, each defined by its own social code and rule of law. Social structures will be equally challenged if not dysfunctional as historic ways of life clash with modern living, ethnic and racial differences are forced to live together, and criminal networks offer opportunity for the growing mass of unemployed. This becomes the nervous system of non-nation-state unaligned individuals and organizations that live and work in the shadows of national rule…. Digital security and trade will be increasingly threatened by sophisticated illicit economies and centralized syndicates of crime to give adversaries global reach at an unprecedented level. This will add to the complexities of human targeting…. Alternate forms of governance have taken control…. Urban conflict is written deep into the army’s histories, but in tomorrow’s conflicts these megacities are orders of magnitude greater in complexity…. Our soldiers will have to operate within these ecosystems with minimal disruption in flow. Our current and past strategies can no longer hold…. The future army will encounter a highly sophisticated urban-centric threat…. The threat is clear. Our direction remains to be defined. This is the future that the US government and European governments envision and are, for some reason, knowingly creating with their push for more rapid immigration from regions unfriendly to the US. On the one hand the Pentagon knowing warns that immigration is rapidly creating serious social pressures and even disorder. On the other hand, the White House continually announces thatPresident Obama is making executive orders that will expand immigration. So, immigration is both known by the government to be creating social pressures that are a huge military risk and is intentional policy at the same time! The future described by the Pentagon is now, and it is not relegated to some decrepit third-world city like Mogadishu. It’s in modern France’s showcase capital — La Ville-Lumière, the City of Light — where it appears they are no longer leaving the light on for us. Too bad if you didn’t visit Paris last year or sometime before that when the now imaginary city you remembered existed. This is the real Paris, the new Paris under marshal law. And this is an image of the years of Epocalypse that I have been saying lie ahead — a time of socio-economic breakdown that is spreading unstoppably around the world — apparently, by design because the Pentagon knows it is coming, knows it is bad, and, yet, the White House keeps pushing to create it. Europe has seen that is is not just coming, but is here, and it still keeps pushing it. So, this is an intended future that is now. This entry was posted on October 20, 2016 by conspiracyanalyst in Nuclear War, US News, War & Peace, World War III and tagged nuclear war, Russia, war, World War III.